Whether you’re an extract brewer or prefer all grain brewing, your brew kettle is where the boil happens, and the magical transition from wort into beer begins. The best brew kettle for your needs depends on your brew style and budget. It’s an investment that, with care, will see you through years of brewing, either as your main boiler or as an accessory when you level up. For our money, the best brew kettle is one that’s versatile, durable, and reliable. 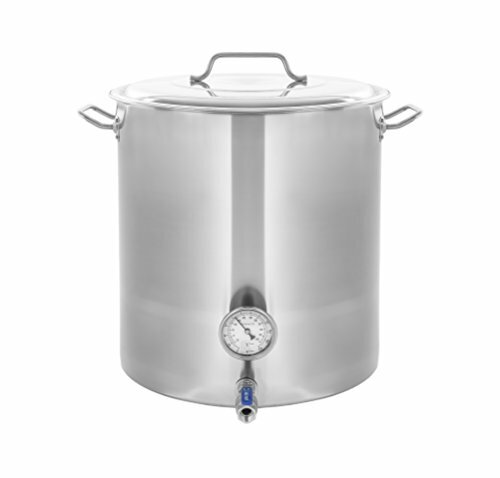 Choosing one that fits your brewing setup and beercrafting ambitions is the first step in boiling a beer you’ll be proud to call your own. Like just about every other piece of homebrewing equipment you’ll own, brew kettles are available in a wide range of both prices and fanciness. Top of the line or nuts-and-bolts basic, every brew kettle worth considering features a few essential components. The most easily recognized trait shared by all the best brew kettles is their material: metal. We’re not ruling out the possibility of futuristic space-age plastic taking the lead one day, but for now, stainless steel and aluminum are top of the heap. Stainless steel, specifically food-grade 304 stainless steel, is durable, corrosion resistant, and relatively lightweight. It’s basically inert, so it also keeps its good looks over the years. Aluminum is not quite as durable as stainless steel, but it weighs less and conducts heat more efficiently. The real drawback to aluminum brew kettles is the metal’s reactivity. Aluminum reacts with caustic cleaning products, both acids and alkalis, as well as plain old oxygen. It will discolor over time. It can pit, crack, or even produce potentially dangerous gases if it comes into contact with the wrong chemicals. It might also leach into the wort during boiling without proper precautions. You can create a patina inside an aluminum brew kettle by boiling a little water in it before use. A good pre-boil creates a compound known as alumina (aluminum oxide), which will keep the metal from reacting with the air. It will also help keep it out of your wort, since most recipes aren’t acidic enough to destroy the alumina layer and expose the raw aluminum. Replenishing your aluminum brew kettle’s patina every time you boil will not only give you peace of mind, but keep unwanted flavors out of your brew. 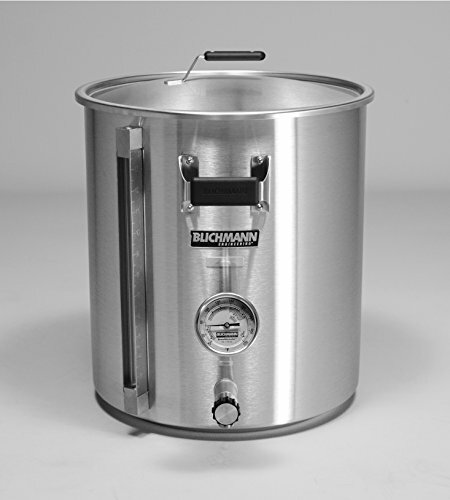 To conquer the weaknesses of stainless steel and aluminum while taking advantage of their strengths, choose a stainless steel brew kettle with a tri-clad bottom. The “tri” refers to the three layers used. A layer of aluminum is sandwiched between two layers of steel to boost durability, remove reactivity, and improve conductivity. If you’re devoted to extracts and small batch brewing, forking over the dough for a kettle the size of a water tower just doesn’t make sense. On the other hand, if you’re all about that brew in a bag (BIAB) life, then your ma’s old soup pot probably isn’t the best brew kettle for you. Think about the homebrewing adventures you’re likely to pursue, and size your brew kettle accordingly. 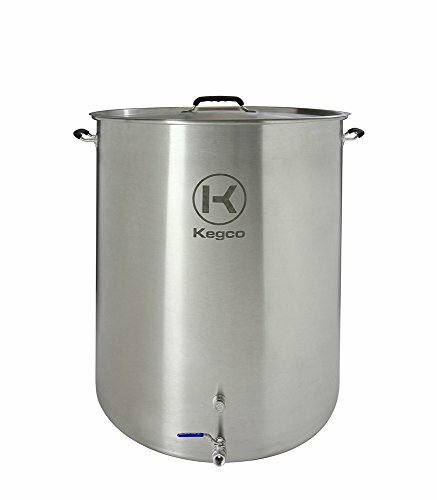 5-gallon (13-liter) Batch (Extract Brewing): An 8 gallon (30 L) kettle If you click this link and make a purchase, we earn a commission at no additional cost to you. should give you plenty of room for a full boil, with enough space to minimize boil-overs. 5-gallon (13-liter) Batch (All Grain Brewing): If you’re going all grain, you need more space to accommodate your grain bill. 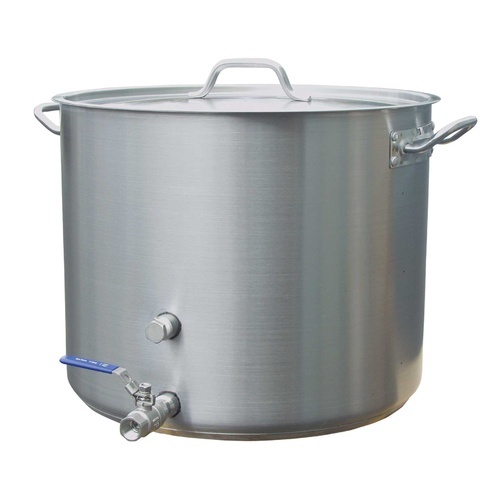 All grain wort tends to foam more than extract wort, so a 10 gallon (38 L) brew kettle If you click this link and make a purchase, we earn a commission at no additional cost to you. should do the trick. And if you decide you want to do a batch of extract brew every now and then, you’ll have more than enough room. 5-gallon (13-liter) Batch (BIAB method): Forget the teapot. Big brews need big kettles, and there’s not a mash tun in sight. Since you’ll be heating your grains with enough water to cover not only your boil but your mash and sparge, a 15 gallon (57 L) kettle If you click this link and make a purchase, we earn a commission at no additional cost to you. is for you. Don’t worry if you think you might experiment with smaller batches at some point. A large brew kettle might seem like overkill for a 5 gallon batch, but the flexibility and extra headspace will pay for themselves. But you can always keep a 5 gallon (19 L) kettle If you click this link and make a purchase, we earn a commission at no additional cost to you. on hand as well. Like giraffes or Paul Bunyan cosplayers, brew kettles work best when they’re tall. High sides reduce evaporation loss, and help prevent boil-overs. Brew kettles are generally designed with a height-to-diameter ratio of 1.2:1. A short kettle isn’t a death sentence for your beer. But a tall kettle that also has the capacity to handle your preferred brewing style will help you avoid messy boil-overs and keep your wort in your beer instead of the air. The final essential feature of the best brew kettles is built-in volume markings. Sure, you could measure how much wort you’ve got with a yardstick and some high school geometry. But why drag math into your brew day when you can get answers at a glance? Brew kettles generally have volume indicators etched into the metal, in both gallons and liters. Quart markings, while less common, are nice if your recipes are built around that unit. While not essential, a handful of features make brewing just a bit more convenient. Using a siphon to draw off hot wort is a time-tested homebrewing tradition, and we’d never knock it. But when we picture the best brew kettle we can imagine, it definitely has a ball valve If you click this link and make a purchase, we earn a commission at no additional cost to you. . They make transporting wort faster, safer, and much easier. We’re not fans of wrestling a huge kettle full of hot wort, especially with large batches, and we’re pretty sure you aren’t, either. One important thing to consider when you’re looking at a brew kettle with a ball valve is whether you can use a welded or weldless fitting. It’s largely a matter of preference, but keep in mind that weldless fittings use gaskets to form a seal, making leaks a potential issue. Most modern ball valves are designed to minimize leaks, but it is something to think about if you’re not a fan of mopping. Welded valves and ports, by comparison, are basically leak proof (famous last words), but can’t be removed. If something goes south, you might end up having to replace your whole brew kettle instead of just your valve or port. 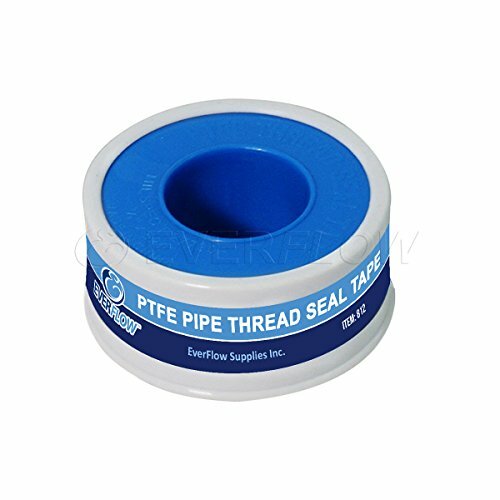 A leak, after all, can generally be repaired with a little plumber’s tape If you click this link and make a purchase, we earn a commission at no additional cost to you. . Along with the volume of your wort, knowing its temperature is part of a successful boil. 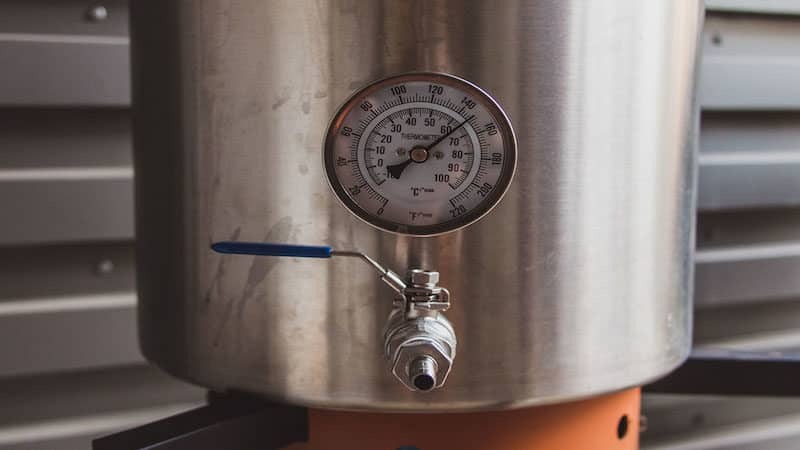 An analog dial thermometer is generally installed in the bottom third of the brew kettle. This lets the thermometer read the internal temperature of the wort, but keeps it far enough away from the heat source to avoid skewing the reading. Built-in thermometers If you click this link and make a purchase, we earn a commission at no additional cost to you. 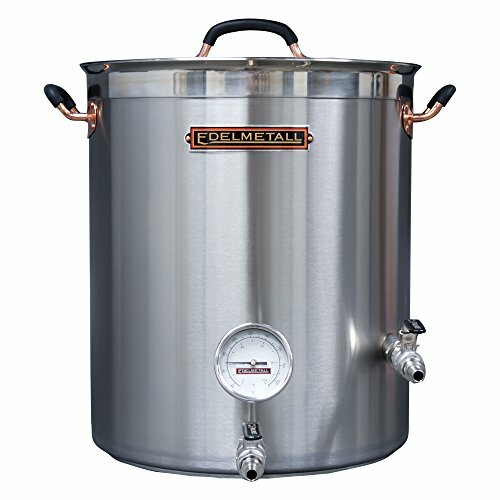 are especially useful if you’re planning to use your brew kettle as a hot liquor tank for your all grain brewing setup. You can heat your strike water or sparge water to the proper temperature without the need for a separate thermometer. NOTE: If you’re using a wort chiller to cool your wort and want to use a kettle with a built-in thermometer, be sure the probe from the thermometer won’t tangle in your wort chiller. If you’d rather skip the immersion chiller, you can use a counterflow chiller If you click this link and make a purchase, we earn a commission at no additional cost to you. or plate chiller If you click this link and make a purchase, we earn a commission at no additional cost to you. instead. 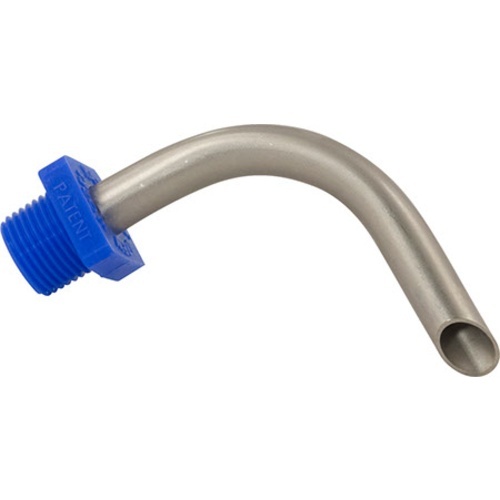 Also known as pickup tubes, these slender hoses attach to the back of the ball valve or spigot assembly inside your brew kettle. It’s designed to help you pull as much wort as possible If you click this link and make a purchase, we earn a commission at no additional cost to you. while still leaving the trub, aka the sludge of leftover hops, fats, and proteins at the bottom of the brew kettle, behind. You could, of course, use a siphon, but dip tubes make it easy to harvest maximum wort with minimal tipping or jostling. They’re especially handy if you’re brewing up a big batch or have a large, heavy brew kettle. Dip tubes are usually positioned to either the side of the brew kettle, or the center. 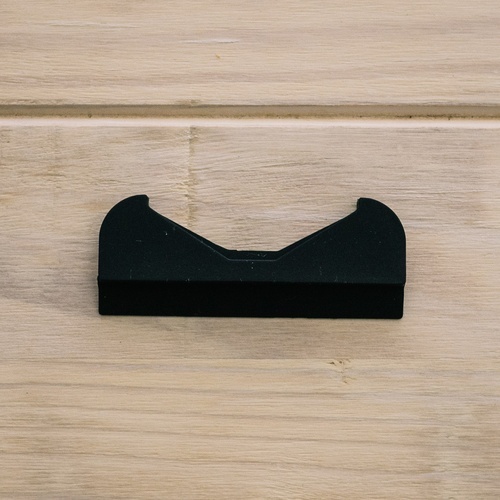 If you’re handy with a stir paddle If you click this link and make a purchase, we earn a commission at no additional cost to you. and whirlpool your wort, the side pickup is probably your best bet. Keeping the uptake close to the side helps you avoid siphoning off gunk from the hot or cold break, as well as excess hop residue, since those materials will be concentrated in the center of the kettle. On the other hand, if you have a more upscale brew kettle with a false bottom or hops screen, you might prefer a brew kettle with a centered dip tube. Positioned below the screen or false bottom, the tub uptake can pull your filtered wort from the center of the kettle without fear of contamination. Depending on the ingredients you use, the occasional tidbit may still slip through even the best screen or filter. You can reduce the chance of contamination by adding an extra filter to the tube, using a hop spider, and keeping your hops whole instead of using pellets. If fire is a little too Stone Age for your setup, you might keep an eye out for an induction-capable brew kettle If you click this link and make a purchase, we earn a commission at no additional cost to you. . Induction heating is faster, more efficient, and more accurate compared to old-school conduction heating. You can heat a lot of wort fast, and maintain it at an even temperature. Induction is the way to go for batches too big for your range. 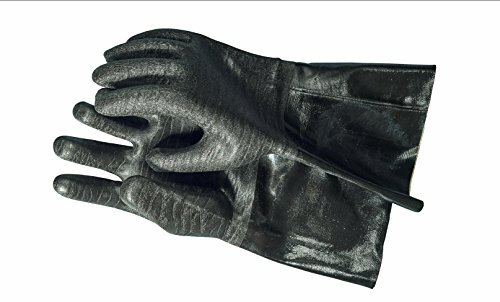 If you boil over a flame, heat-resistant brewing gloves If you click this link and make a purchase, we earn a commission at no additional cost to you. are probably already part of your homebrewing toolkit. But if you’re using an electric burner to heat your wort, get a kettle with silicone coating on the handles If you click this link and make a purchase, we earn a commission at no additional cost to you. to help keep things cool while you move or lift your kettle—even if you forget your mitts. Like cars or watches or the enormously fancy boats of the superrich, the very best brew kettles come with extras you won’t find on your basic stovetop boiler. More accurate than interior volume markings, a sight gauge or sight glass tells you the volume in your brew kettle via an external display. Some models also incorporate a thermometer, so you can get the temperature of your brew at the same time. If you don’t mind cleaning an extra gadget If you click this link and make a purchase, we earn a commission at no additional cost to you. and want maximum convenience and accuracy If you click this link and make a purchase, we earn a commission at no additional cost to you. , this add-on could be an essential part of your best brew kettle. Dam the Trub-pedoes! Full Speed Ahead! Also known as a trub blocker, a trub dam If you click this link and make a purchase, we earn a commission at no additional cost to you. is a small piece of metal welded to the bottom of the brew kettle in front of the valve or dip tube. If you whirlpool your wort before draining, a trub dam helps prevent hops and break material from escaping the center and slipping into your fermentor. Upscale brew kettles may feature this gadget. Like a trub dam, a hop screen is designed to keep trub from hitching a ride with your wort. Depending on the make and model, it might also be called a kettle strainer. NOTE: Because it can clog, snag, or keep you from whirlpooling effectively, keep in mind your brew style, your preferred ingredients, and whether or not you want to use a wort chiller when shopping for a hop screen. Fans of espionage and pirate tales will appreciate this gadget. 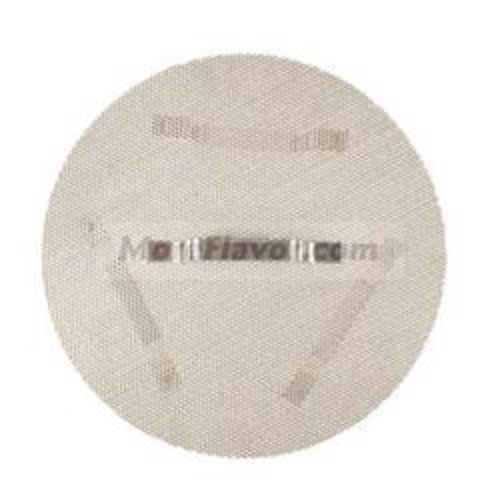 A perforated metal disk, a false bottom If you click this link and make a purchase, we earn a commission at no additional cost to you. isn’t designed to hide microfiche from foreign agents or conceal hidden treasure. But it does allow your wort to flow into the bottom of the brew kettle while holding solids on top. If your kettle is also your mash tun, then this gadget can be a lifesaver and will definitely be on the list of essentials. Just keep an eye out for potential clogs, and don’t try to stash your laser-cutter watch in there while you’re brewing, 007. Knowing which features best fit your brew style makes finding the best brew kettle for you a lot easier. We’ve never been fans of paying for more than we need. After all, we’ve got beer to make, and so do you. A basic kettle gets the job done, and leaves some room in the budget for other homebrewing gadgets you’ve been eyeing. 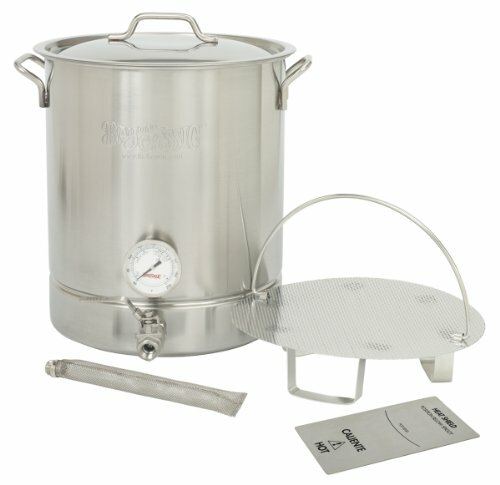 This basic brew kettle offers a few nice options, including a weldless valve port and thermometer, at an economy price. If you’re just starting out or keeping things thrifty, it’s hard to go wrong with this beauty. Made of food-grade stainless steel, this kettle has a single-layer bottom, and is great for larger batches If you click this link and make a purchase, we earn a commission at no additional cost to you. since it comes in sizes up to 50 gallons (190 L). Just make sure you’ve got a buddy (or your chiropractor) on hand during brew day if you go that large. With a false bottom and a hops screen, the Bayou Classic makes all grain brewing a snap. It comes in a variety of sizes, too, although the 10-gallon (38 L) kit is the most readily available. The tri-clad bottom If you click this link and make a purchase, we earn a commission at no additional cost to you. on this model helps ensure even heating, and the weldless construction (including the ball valve, thermometer, and bulkheads) gives it an upscale feel at an introductory-level price. If you’re looking for bells and whistles on a budget, this one is a winner. A little luxury goes a long way. Expect to pay a bit more for—and get a bit more from—these middle-of-the-pack brew kettles. With its extra-sturdy construction If you click this link and make a purchase, we earn a commission at no additional cost to you. and versatile accessory ports, this heavy hitter from MoreBeer! gives you lots of options without straining your rainy day fund. This one’s built to be not just a purchase, but an investment in years of happy brewing. The riveted, rolled-steel handles make carrying this bruiser a lot easier. And while it doesn’t have internal volume markings, its dual-port system can handle thermometers, thermowells, and ball-valves like a champ. If you’re stepping up from a basic kettle, this one’s a good place to start. 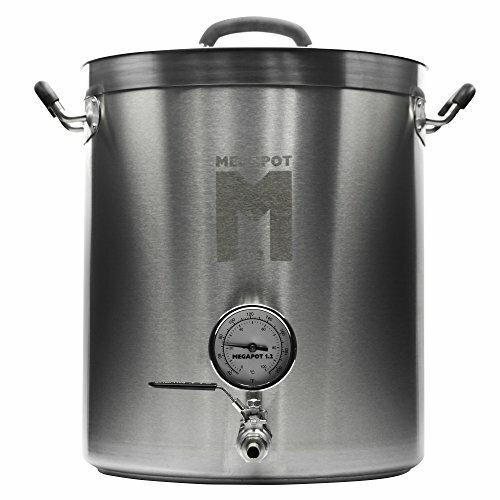 MegaPot has an excellent reputation that’s well served by this high-quality brew kettle. It comes ready to roll with some premium upgrades and its unique IsoFlow™ bulkhead fittings make it easy to add or swap accessories. Made of heavy-duty stainless steel and reinforced with a polished band around the upper rim, this baby’s built to last. It’s available in a wide range of sizes, from 8 to 30 gallons (30 to 114 L). Plus, it has internal volume markings If you click this link and make a purchase, we earn a commission at no additional cost to you. and silicone-grip handles to make transportation easier andsafer. You want features? You got ’em. This versatile kettle has thick, heavy-duty walls, welded couplers, and a notched lid with a silicone plug. It’s optimized at a scale of 1.2:1 for minimizing evaporation If you click this link and make a purchase, we earn a commission at no additional cost to you. , and its welded couplers make it easy to customize your setup with minimal fuss and muss. The silicone grip handles and the internal volume markings make brew day a little easier. All versions have a tri-clad bottom, and the 22 and 30 gallon (83 and 114 L) versions have upgraded .2 in. (5 mm) walls for even more sturdiness and strength. There’s no shame in having serious homebrewing game. Scratch your itch for next-level brewing with these maxed-out brew kettles. This masterpiece of brewing technology just might have been sent back in time by an advanced civilization. 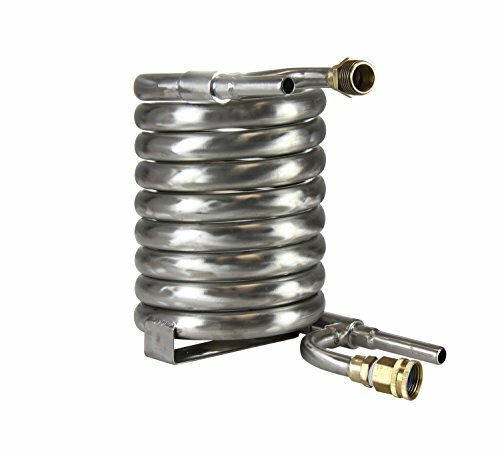 It consists of a single piece of weldless stainless steel, with glass-filled, heat-resistant nylon handles If you click this link and make a purchase, we earn a commission at no additional cost to you. designed to stay cool to the touch, and it does everything except protect John Connor from the T-1000. The G2 linear flow valve, BrewMometer­™ thermometer, and standard borosilicate glass level gauge make tracking every aspect of your boil a snap. What other kettles call extras, this kettle calls standard. We don’t toss around phrases like creme de la creme lightly, and not just because people look at us funny when we do. But this Edelmetall is indeed the cream of the brew kettle crop. 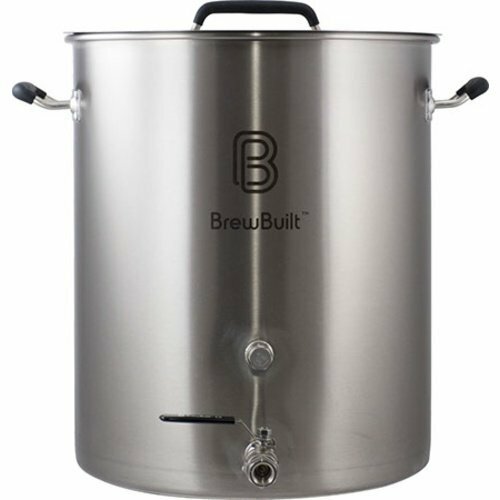 The Brü Kettle is overflowing, but not literally, with features, including a crazy tangential whirlpool port for corralling trub If you click this link and make a purchase, we earn a commission at no additional cost to you. and cooling wort. And that’s just for starters. It’s also got an IsoFlow™ dip tube, etched volume markings, and an adjustable thermometer. Choose your favorite size, from 8 to 30 gallons (30 to 114 L), and prepare for boiling bliss. Lean and mean, this Kegco brew kettle checks the boxes for durability and strength. Its two standard accessory sockets If you click this link and make a purchase, we earn a commission at no additional cost to you. , with weldless bulkheads, make it easy to clean and customize. It boasts a tri-clad bottom to ensure even heat distribution, food-grade stainless steel construction, and riveted, silicone grip handles. Finally, it comes with a lid designed to hang on the kettle’s riveted silicone handles. Happy homebrewing is all about flexibility. If you can’t quite swing the top-shelf brew kettle out of the gate, start small and remember that some of the world’s best beers have come from humble beginnings. You can always upgrade as your skills, needs, and budget grow. Don’t sweat it. The best brew kettle is the one that makes a beer you love to drink and share.